Ms., J.S. 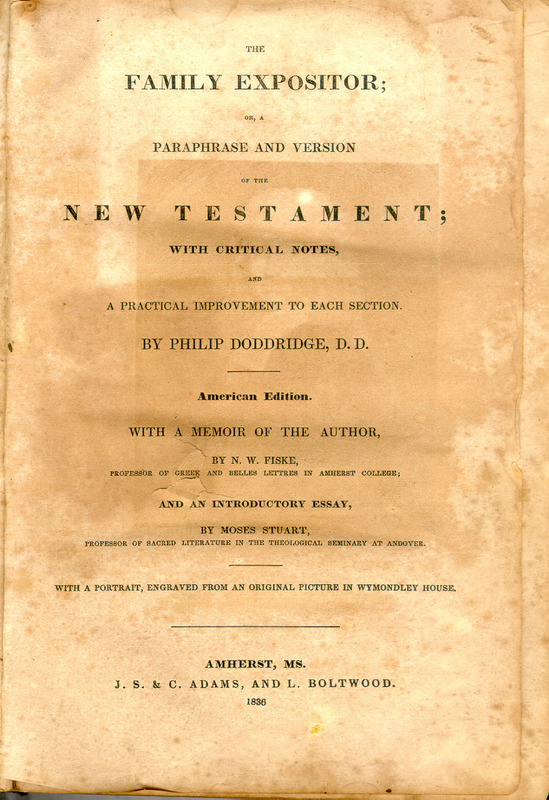 & C. Adams, and L. Boltwood, 1836.
and the spine is missing. The family record pages are in the rear. There is a calling card for Martha Martin enclosed. tracy@stclaire.org. All spellings in original. 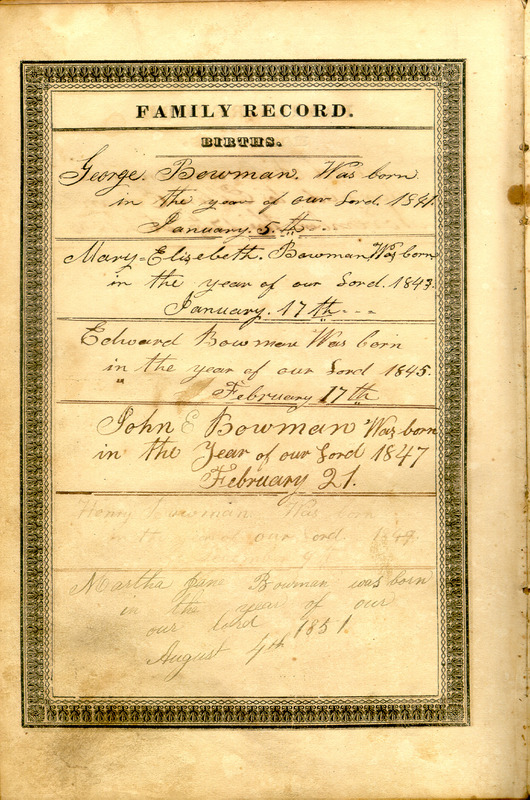 George Bowman Was born in the year of our Lord 1841 January 5th. Henry Bowman Was born in the year of our Lord 1849. 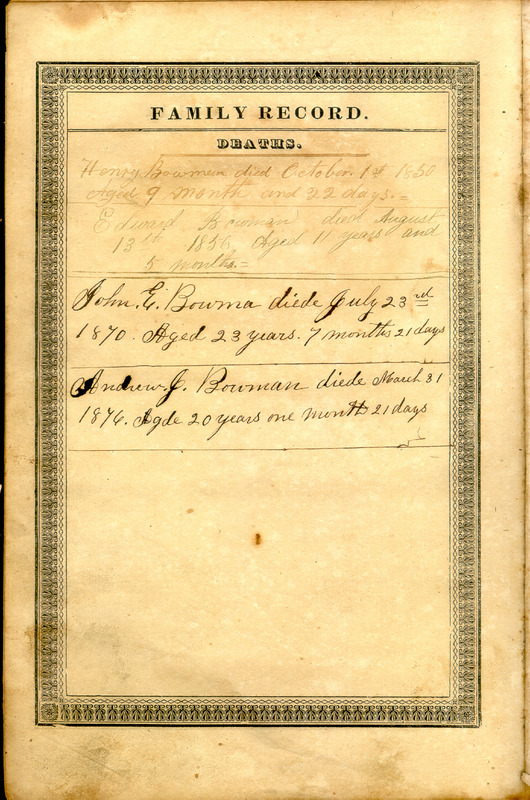 Ellen Edgar Bowman was born June 26th 1820. 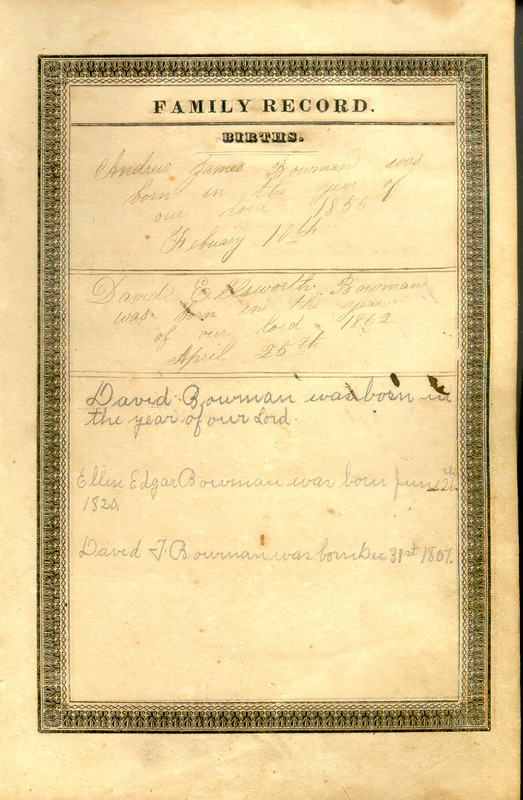 David T. Bowman was born Dec 31st 1807. Henry Bowman died October 1st 1850 Aged 9 months and 22 days. John. 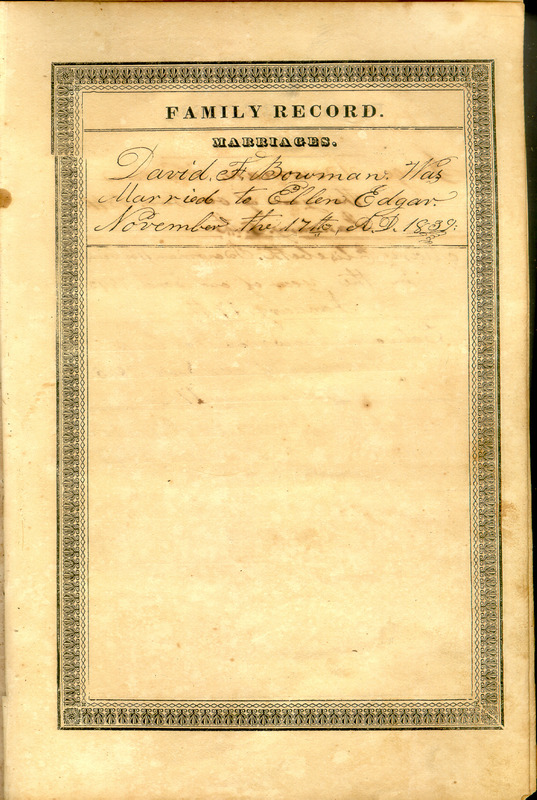 E. Bowma diede July 23rd 1870. Aged 23 years. 7 months 21 days. Elmer E. Bowman was married to Ella Shofstall Aug 3d 1885. Andrew Bowman was born in the year of our Lord 1886. June 16. Elsie M. Bowman was born in the year of our Lord 1888 July 22 th. 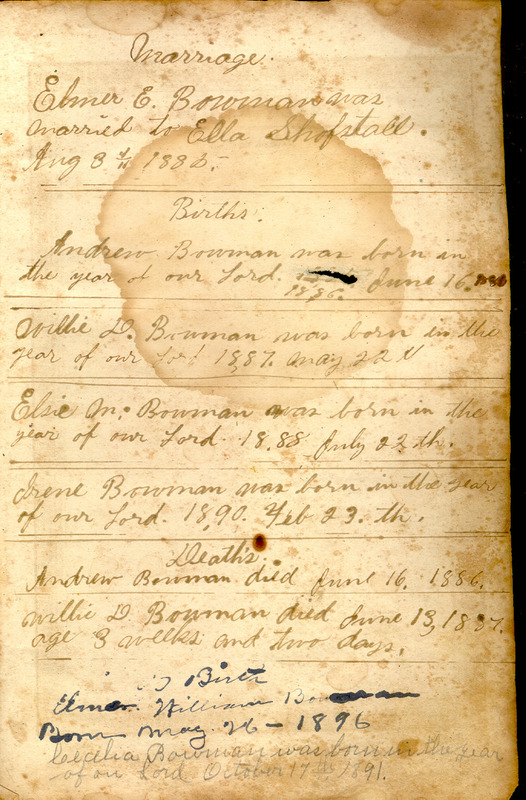 Andrew Bowman died June 16, 1886. Willie D. Bowman died June 13, 1887. age 3 weeks and two days. Cecelia Bowman was born in the year of ou Lord October 17th 1891.